A little before the MWC started, spy photos of a Samsung model had appeared, known by the name of the Acme i8910, which had been said to be able to record HD videos. This information immediately attracted attention and a lot of people had been all ears, waiting for its official announcement. And finally, the Korean giant has showed its new multimedia monster, the Samsung OMNIA HD, to the broad public. It is the first phone in the world, capable of recording HD videos, which gets done by the 8-megapixel camera and succeeds the idea of the original OMNIA, but pushes it even further. The new guy will sport a 3.7-inch touch-sensitive AMOLED display and will use the next-generation of the TouchWiz interface, TouchWiz 3D. It’ll all be packed in a luxuriously made thin body (12.7mm), combining special glass and aluminum. For the moment, there is no additional information about the OMNIA HD, but we will soon learn more on it and, of course, will inform you as soon as possible. Expect our hands-on with the device, so stay tuned! I really hope this comes out for verizon! Ditto! This sounds like it rocks! I remember when the original Omnia was announced and i was praying that they would make a cdma version for Verizon. Obviously they did and suprisingly Verizon only removed/changed 2 things....GPS is locked to VZnavigator and they took out the secondary camera. Now we have the Omnia HD which i was also excited about when initially announced. We as Omnia owners should be excited about the hd recording capabilities, HDMI, new larger amole screen, better camera and the upgrade to the TouchWiz UI. 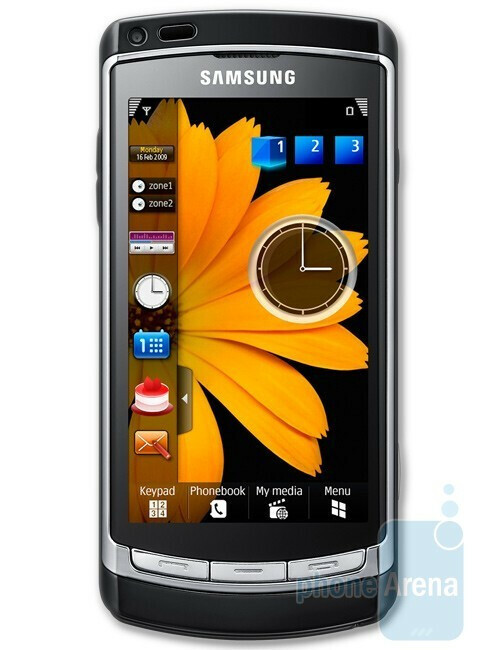 But what i don't get is why Samsung went away from using Windows Mobile in favor of the Symbian OS. Personally i feel that if Samsung is really going to use symbian they are going to alienate all the customers who bought the original Omnia. Ive been using winmo since winter 05 and i like it but if samsung is gonna do this then i will keep my omnia or get something else. Hopefully they offer a cdma version with winmo. Please!!!!!!!! Lates up date . The Omnia HD will be sporting Windows Mobile 6.5. WM 6.5 is still being developed so don't expect the Omnia HD to show itself w/WM 6.5 till the end of 09'sh .. You can google WM 6.5 and read all about it. Nice OS!!!!! Old 6.1 users will be able to upgrade/update to it as well. It is made mainly for touch screen users.